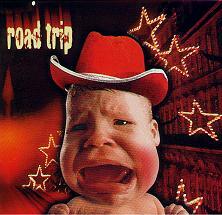 Until ROAD TRIP’s 2001 release “Please Disturb” this was the best recording I’d ever done. Better in every respect than anything I had done before this – songwriting, production & artwork. I enjoyed doing this recording, Sleepless Nights (Madison, WI) is a very good studio. I used a 66 Jazz Bass, Fender Roscoe Beck 5-string and a Lakland Classic 55-94 5-string bass on this disc & we spent a lot of time working on the bass tones. It won the year 2000 WAMI (Wisconsin Area Music Industry) Award for “Best CD Artwork”!